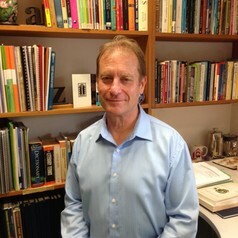 Dr Don Carter has held numerous senior positions in education. Most recently he was senior lecturer in English education at the Australian Catholic University. He has held the position of Inspector, English at the NSW Board of Studies Teaching and Educational Standards (BOSTES) where he was responsible for key projects such as the development of the new English K-10 Syllabus and the Stage 6 English Studies course. Don has also worked as an ESL/Multicultural Education consultant for the Department of Education and has been a head of English in government and non-government schools. His publications include The English Teacher's Handbook A-Z (co-edited with Associate Professor Jackie Manuel) and Imagination, Innovation & Creativity (co-edited with Associate Professor Jackie Manuel, Dr Paul Brock & Professor Wayne Sawyer).